I found both of these to be very helpful tools. Finally, as I began working through the Lynda.com videos, I thought about how I might apply the concepts to my own Advent Calendar project. I also created a public Gist on GitHub to house my work. Then, I started testing the various iterations of my project (still needs more testing) in a separate standalone HTML file in my localhost. The screenshot above is a result of this work. 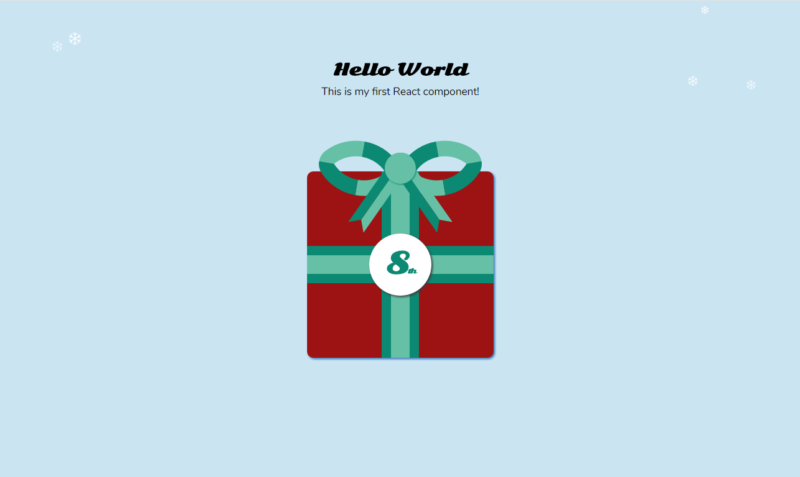 I can see there is still a lot to learn about React, but so far it’s been quite interesting. It’s very speedy, incredibly versatile, and the syntax is pretty straightforward. I’ll continue on this journey tomorrow.